Last month, a federal appellate court issued an opinion in an Indiana personal injury accident that required the court to interpret the Indiana Comparative Fault Act. Ultimately, the court concluded that the evidence presented indicated that the plaintiff was more than 50% at fault for his injuries, and thus dismissal of the plaintiff’s case under the Comparative Fault Act was appropriate. 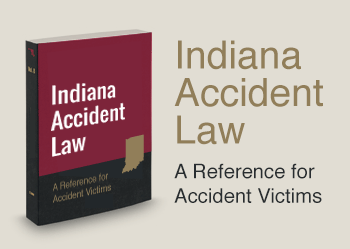 The Indiana Comparative Fault Act is contained in Indiana Code sections 34-51-2-5 and 34-51-2-6, and provides the system that courts use to determine whether an accident victim who shares fault for their own injuries can pursue a claim against other potentially liable parties. Specifically, the Act states that “any contributory fault chargeable to the claimant diminishes proportionately the amount awarded as compensatory damages … but does not bar recovery” except as provided by section 34-51-2-6. Section 34-51-2-6 explains that a plaintiff cannot recover for their injuries if their fault is “greater than the fault of all persons whose fault proximately contributed to the claimant’s damages.” While this sounds quite confusing, in practice the Comparative Fault Act precludes a plaintiff’s recovery if they were more than 50% at fault for the accident that caused their injuries.